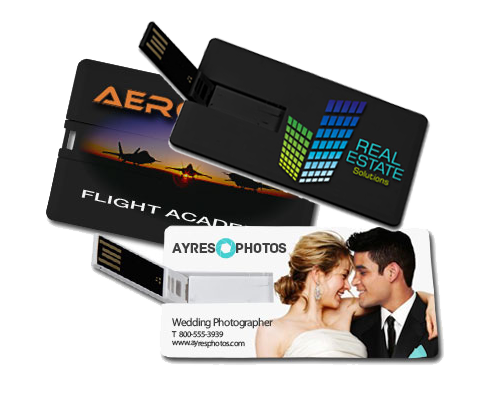 Take your business card to the next level with our iCard custom USB flash drives. 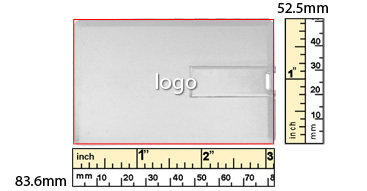 Available in black or white, these credit card sized thumb drives are guaranteed to leave a lasting impression when promoting your company or band. 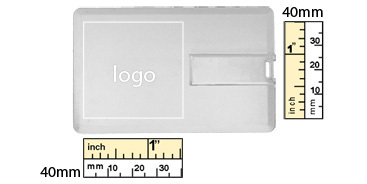 Using a foldable joint, the USB connection is protected while not in use. 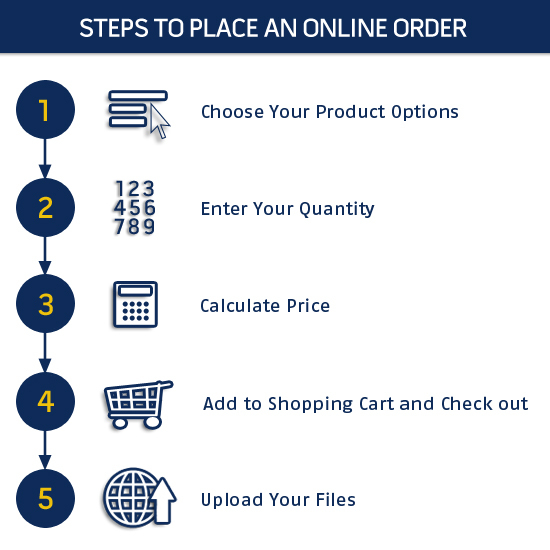 The iCard custom USB drive acts not only like a business card with your information and custom printed company logo, but it is also a fantastic way to promote your company's products and services.